Born: 2 May 1884, Cape Town, South Africa. Died: 23 March 1964, Cape Town, South Africa. Neville S. Pillans, botanist, was the only son of C. Eustice Pillans* and his wife, Mary E.S. Porter. He received his schooling at the Diocesan College, Cape Town, but does not appear to have matriculated. Following in his father's footsteps he started collecting live plants, particularly succulents, while still at school, cultivating them in his father's garden in Rosebank, Cape Town. From 1905 Pillans senior was horticultural assistant in the Cape Department of Agriculture. In 1908 Neville presented specimens from "his unrivalled collection of stapeliads and allied genera" to the Albany Museum, Grahamstown. His collection soon came to the attention of professional botanists, for example, Harry Bolus* and F.R. Rudolf Schlechter* came to view it, while White & Sloane (1937) described Neville as "the most eminent collector of Stapeliads in the eventful history of the tribe". He discovered a large number of new species and new varieties of existing species, and rediscovered rare plants that had not been seen for many years. In the preface to Volume 4.1 (1909) of the Flora Capensis the editor, W.T. Thiselton-Dyer*, thanked him for presenting a large collection of Stapeliae to the herbarium of the Royal Botanical Gardens at Kew, England, consisting of plants both living and in fluid, and including many new species, as well as the loan of his large and valuable herbarium of this group. These contributions proved of great value in the review of the Stapeliae by Nicholas E. Brown*, published in the same volume. Bolus also acknowledged his contribution of living orchids in the Preface to Volume 2 of his (Icones Orchidearum... (1911). Pillans took up an appointment as a temporary clerk in the Department of Agriculture of the Cape Colony in 1908. In 1910 he wrote an article on "A South African botanic garden" for the Agricultural Journal of the Cape of Good Hope in which he advocated the establishment of a public garden in which indigenous plants could be cultivated and studied. In February the next year he took Professor H.H.W. Pearson* and the director of the Cape Town municipal garden to Kirstenbosch to show them how suitable the site would be for the National Botanic Garden that was subsequently laid out there. Other notes and articles by him in the Agricultural Journal during 1910 dealt with the Mexican poppy, the spear thistle, the Cape buchus, and the Amarantus weed. In 1911 he presented plants to the South African Museum that were new to its collection. That same year he was granted three years leave of absence and a scholarship of ?200 per annum to study agriculture at the University of Cambridge. However, he had to abandon his studies after two years owing to ill health. In 1918 Pillans began his career in botany with his appointment as assistant in the Bolus Herbarium at the University of Cape Town. He held this position for 35 years, during which he built his reputation as a botanist through careful and patient research on the taxonomy of the indigenous flora. He undertook many collecting trips, particularly in the northern Cape, and in 1926 discovered four more new Stapeliads in Namaqualand, one of which was so distinctive that it required him to introduce a new genus, Stapeliopsis. His first taxonomic paper was a note on "Stapeliae", in the Journal of the Botanical Society of South Africa (1920). Among others he published the following monographs: "The African genera and species of Restionaceae" (Transactions of the Royal Society of South Africa, 1928, Vol. 16, pp. 207-440; followed by descriptions of new species in the same journal in 1942 and 1944); "The genus Phylica" (Journal of South African Botany, 1942, Vol. 8, pp. 1-164); "A revision of Bruniaceae" (Ibid, 1947, Vol. 13, pp. 121-206); and "A revision of Agathosma" (Ibid, 1950, Vol. 16, pp. 55-183). He also described many new species of Aloes in South African Gardening and Country Life during 1933-1935, and revised the Restinaceae, Bruniaceae, Asclepiadaceae, Euphorbiaceae, etc. for Flora of the Cape Peninsula (1950) by R.S. Adamson and T.M. Salter. He was an early member of the Royal Society of South Africa, but for a few years only. 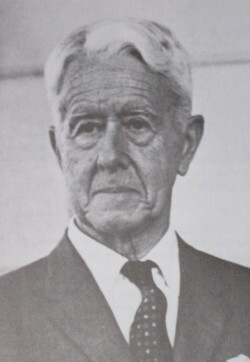 After his retirement from the Bolus Herbarium in 1952 the Kirstenbosch board of control awarded him the Smuts Memorial Fellowship to continue his botanical research. This he did, later with a grant from the CSIR, until he had to stop for health reasons around 1962. At that time he was revising the genus Hermannia. He was a quiet and reserved man, who never married. The genus Pillansia (Family Iridaceae) was named after him by H.M.L. Bolus*, while he was also commemorated in the species Aloe pillansii, Eucomis pillansii, Huernia pillansii, Stapelia pillansii, Duvalia pillansii and Erica nevillei. Plants collected by him are held in the Bolus Herbarium, the Moss Herbarium of the University of the Witwatersrand, the Compton Herbarium in Cape Town, and the National Herbarium in Pretoria. Agricultural Journal of the Cape of Good Hope, 1910, Vol. 36 and 37, articles by N.S. Pillans. Bolus, H. Icones Orchidearum Austro-Africanum Extra-Tropicum; or, figures with descriptions of extra-tropical South African orchids (Vol. 2, Preface). London: W. Wesley, 1911. Bullock. A.A. Bibliography of South African Botany (up to 1951). Pretoria: Department of Agricultural Technical Services, 1978. Cape of Good Hope. Report of the committee of the Albany Museum, 1908. National Automated Archival Information Retrieval System (NAAIRS). . Documents relating to Pillans, N.S. Oliver, E.G.H. [Obituary]: N.S. Pillans. Journal of the Botanical Society of South Africa, 1965, Vol. 51, pp. 42-43. Phillips, E.P. Memories of South African botanists. South African Journal of Science, 1965, Vol. 61, pp. 291-296. Reynolds, G.W. The aloes of South Africa. Johannesburg: Aloes of South Africa Book Fund, 1950. Royal Society of South Africa. Transactions, 1910, Vol. 1, list of members; 1928, Vol. 16, paper by N.S. Pillans. Union of South Africa. Report of the South African Museum for the years 1910, 1911, 1912. Cape Town, 1913.